This is not your usual Star Party where you only look at the top 10 easy and bright deep space objects. We select a curated list of visually stunning space objects. You’ll see a stimulating variety of obscure and well known space curiosities designed to open your mind to the mystery and romance of astronomy. Our equipment is beyond question, well maintained and performing at the optimum, limited only by atmospheric conditions. We ask you to focus the image for your personal eyesight. Unlike other stargazing experiences where only one eyepiece is used all night, we use a variety of high quality eyepiece optics to reveal delicate details and obscure overlooked aspects. Novices and experienced stargazers will enjoy the high quality views, carefully selected list of objects and the star lore narrative on the history of Astronomy told by an experienced Astronomer. All our stargazing tours are done on coastline hotel properties in warm weather near all the amenities you enjoy. Join us at any of the following locations based on the spot or the day of the week that works best for you. 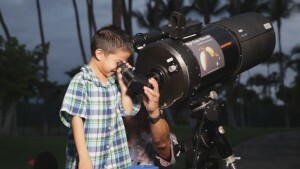 The Fairmont Orchid, Hawaii is sponsoring FREE stargazing every Friday evening in 2019. No Reservations required. Subject to Cancellation for bad weather or low attendance by 7 PM. 6 Reservations minimum per session. Late Cancel / No Show Fee $20.00 per person for cancellations after 5 PM. We bring the universe to you by transporting our observatory (worth tens of thousands of dollars) to your location. Stepper motor focuser system on all telescopes. USB stick with images from the session. Astrophotography sessions are provided on an individual basis. Contact us for pricing. We love being part of your small group event. 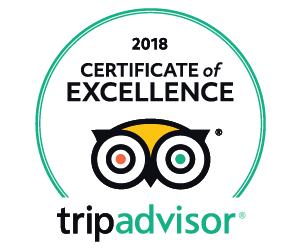 We offer Private Stargazing Sessions at the amazingly dark (except for Star light and Moon light) Westin Hapuna Beach Resort, Kohala Garden Parking Lot. Unsurpassed Stargazing with pristine skies and wide-open vistas. Private Sessions lasting from 1 to 2 hours for families or small groups. Guided tour of the sky with private access to the telescope for groups of up to 6 10 people. Guided Tour of the sky for groups of up to 15 people with private access to the telescope. 1 or 2 Telescopes Available. Contact us for pricing. Why stargaze at sea level when all the observatories are at high altitude? The Kohala Coast of the Big Island of Hawaii has unique geographic topology that allows world class stargazing–sub-arc-second viewing–from Sea Level. 1 arc-second is 1/3,600 of one degree of angle. In most places on this planet, due to turbulence in the air, stars will be 2-3 arc-seconds in diameter. At Star Gaze Hawaii’s selected sites, we can attain ½ arc-second star images routinely, limited only by weather. Additionally, high Altitude reduces oxygen levels in the air that your eyes need. Your eyes require oxygen to metabolize rhodopsin in order to see anything. Dim space objects require maximum oxygen to be realized at all. Mauna Kea Observatories (at 40% oxygen levels) are remote controlled telescopes where the astronomers are at low altitude. Nobody views directly through any of the telescopes at the summit. Astronomers using the telescopes can be anywhere in the world as they operate over the internet. If an Astronomer comes to Hawaii at all, they will be in a warm, low altitude environment while using the telescope. Why should you go and freeze and suffer high altitude effects when no professional astronomer does that anymore? Instead, wear your aloha shirt and shorts (or Muumuu) in warm weather, close to hotel amenities at 100% oxygen levels and world-class arc-second viewing. How does Star Gaze Hawaii differ from the Mauna Kea tours? Star Gaze Hawaii concentrates on observing the sky. We look at interesting and many obscure objects not on any top 10 lists in Astronomy. We seek to stimulate the mind as well as the eyes of the participant. The principal astronomer has been doing this since 1962 and he knows a lot of history of Astronomy as well as the physics of the objects viewed. He keeps current with the news in Astronomy and has a unique ability to explain physics in plain language. Astronomy brought down to Earth. We use visual aids such as Green Laser Pointers and Original photographs taken of the objects viewed in the telescope. What will happen if it is cloudy at sea level? We do not control the weather. Even professional astronomers have that same problem. We call it “Astronomy in the Trenches”. We bring the telescope and our expertise and deal with Mother Nature on her terms. If the weather is a lost cause by 5 PM, we will cancel the session. If there is hope or if it is clear at 7 PM, we will proceed and deal with clouds as they will do whatever they will. We offer extensive historical accounts of Astronomy in the trenches when that happens. We demo our equipment and make equipment reviews and recommendations. In 1991, the Total Solar eclipse in Hawaii was encumbered by cloudy weather. The astronomers and general public that made the investment to come to Hawaii were frustrated by the cloudy weather. But, some people got partial data and photographs through breaks in the clouds. This is Astronomy in the trenches. The Kohala Coast has unique weather patterns that no weather forecast covers. It can be cloudy at 6 PM and clear up completely by 8 PM. We have been doing this since 1992 and we can predict the weather fairly well. Due to the high mountains to the East and South East, we get a Venturi effect from the winds funneling through the mountain valleys. If the trade winds are out of the North East, we can depend on clear weather by 8 PM. If it comes out of the East or South East, then we have a wind shadow effect and clouds may linger a bit longer, beyond our time frame for stargazing, but it will eventually clear. If we have Westerly winds, the clouds will pile up against the mountains and we can have clear skies overhead. If it comes out of the South, bad weather can persist all night. How do weather cancellations work? Hard Cut off at 5 PM for reservations. We will send out email and (optional) text messages to confirm or cancel stargazing just after 5 PM. We are based over an hour away from the stargazing venues and with travel and setup times, we are unable to respond to changes in weather after 5 PM. If the weather is poor at 5 PM we will cancel stargazing and send out email and (optional) text messages. If it turns bad after 5 PM we will inform you around 7 PM of a cancellation in the same manner. Check your email before you travel to the stargazing location. During Hurricane season, June 1 to November 30, having any storm in the vicinity can make weather highly unpredictable and rapidly subject to change. Is VOG (Volcanic haze) a problem for stargazing? In general, no. VOG indicates calm steady air free of turbulence. Strong winds and clear air go together and result in blurry views from moving turbulent air. With VOG, Planetary views are greatly improved as they will be sharp and finer details can be viewed. Jupiter, Saturn, Mars and the Moon are very bright. In our telescopes, they are so bright that your eye will be saturated and see no color, just white. The dimming due to the VOG can improve the colors and finely detailed views of these bright objects. Galaxies will be impacted negatively by dimming. But, Galaxies are commonly called “Dim Fuzzies”, best photographed rather than viewed by eye. Galaxies are always hazy and nebulous in small telescopes. Edwin Hubble required the 100” Mount Wilson telescope to be able to see individual stars in the Andromeda Galaxy a mere 2.54 million light years away. Galaxies offer intellectual stimulation of actually seeing ancient photons from millions of years ago as dim fuzzy patches. To see spiral arms, photography is the best method. Can we see a Black Hole? Visual light telescopes such as the ones that we use cannot “see” a Black Hole. By definition, Black Holes emit no visual light. As matter falls into a Black Hole, it can form an accretion disk that emits infrared and x-ray radiation. The Infrared is from friction and compression of material falling into the strong gravity field. The X-Ray is from ionized plasma that is accelerated to the speed of light as it falls into the event horizon around a Black Hole. Visible light will be obscured by the accretion disk in all directions. What can be seen in visual light are an artifact of a Black Hole: the jets of ejected matter from the poles of the spinning accretion disk. We have a different name for those: Quasars. Quasars are the incandescent glow from matter that is ejected out along the poles as jets of high speed material. It is not a view of the actual Black Hole. Unfortunately, most of these are very dim and billions of light years away. There are no active Black Holes nearby with jets of ejected material. Can we see Saturn’s Rings? Yes, even a 60mm (2.4”) telescope can do that. We use 11” or 280mm telescopes and we normally magnify Saturn 200x. We can get up to 550x but that would cut off the Moons orbiting Saturn. We get fabulous views of Saturn’s rings, Moons and delicate banding in the atmosphere. Show us the Milky Way. All of the stars you can see in the sky at night are part of the Milky Way galaxy that we occupy. During the summer months, Sagittarius and Scorpius are high in the sky and the core of our galaxy is in that area. The Milky Way is the bright band of hazy light running through that area. In the winter, we are looking out towards the rim of the Milky Way and the hazy band is much dimmer running through Cassiopeia and Perseus. Why are the pictures from NASA and in Magazines so vivid and the telescope views so dim and hazy? The Human eye is very different than a camera. Cameras can store light over time and build up an image from multiple exposures. Essentially, Photoshop and image manipulation software is used to highly enhance the images through adding together many dim hazy exposures. The human eye has to work with the light it can sense through the telescope and what we show is the truth about the sky. Only a camera can get those magazine views of deep space objects. Planets are actually subdued in color and details are fleeting and hard to see. The atmosphere blurs out fine details except for short periods of time when it is stable. We extract this fine detail in images via video methods that average together many frames of video and build up the details from averaged data. Very often, we like to use 2,000 video frames to produce a decent image of Jupiter, Mars or Saturn. The human eye cannot do this type of processing. The Human Eye is very insensitive to red light. Hydrogen, the most abundant element in the Universe emits a deep red color in nebulae. Most people see that as blue or green since the rods in our eyes are most sensitive to dim light and they are monochrome. The Cones in our eyes need lots of light to see the red. Have Star Gaze Hawaii staff used the telescopes on Mauna Kea? Yes, we have been to the mountain many times, but to use the telescopes, you do not go up there. 95% of the time, there is no astronomers on the mountain. Only telescope operators who live at the 9,000 foot Hale Pohaku dorms actually go up to the summit at night. The astronomer goes to Waimea or Hilo where the main control panel is located. All of the telescopes are remote controlled robots. The staff at the summit are there to fix things that break or jam. The folks calling the shots are at low altitude and warm. The summit is at 40% oxygen levels and people need to acclimatize to that to work there. There is no good reason for astronomers to do that. Remote operations can be done from anywhere in the world over the internet. Star Gaze Hawaii has participated in observing sessions for the Keck Telescopes. Some of our staff work part time for us and full time for the Keck Observatory. Watch a stargazing preview here. Comfortable stargazing done at tropical temperatures. Well-priced 1-hour guided tour of the sky. Low altitude at a resort with full amenities. Small groups with good access to the telescope for all and a coherent lecture. Plain English spoken with pictures provided on iPads to help to explain Astronomy concepts. Star Chart, Red LED Chart Light, and pictorial object list included. Constellations traced in the sky with a green laser pointer. Limit of 12 people per telescope. Two Telescopes maximum per night. Make your reservation today for the best stargazing experience in Hawaii!